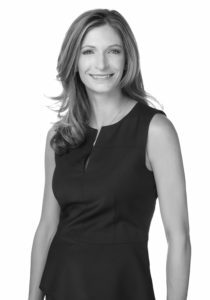 Natalie focuses her practice in all areas of intellectual property, corporate transactions and commercial agreements and has experience representing all sizes of companies, ranging from entrepreneurial start-ups to Fortune 500 corporations. Natalie assists clients in the preparation, drafting and negotiation of a wide variety of commercial agreements, including the sale, purchase, supply and manufacture of products and services. Her experience in this area has touched a wide range of industries, which include the software, online services, banking, life sciences, medical devices, food, healthcare and consulting industries. Further, she has assisted clients with a variety of transactions, such as the acquisition and sale of assets and technology transfer, as well as entrepreneurs in entity formation and the legal matters related to starting a new business. Natalie also assists clients with obtaining protection for their intellectual property by securing patents, trademarks and copyrights, as well as with protecting and leveraging those rights through licensing, enforcement and defense. She routinely provides clients with business planning assistance to protect and enhance the value of their intellectual property. The unique breath of her experience has enabled her to develop a comprehensive understanding of the intellectual property issues most companies face, as well as a healthy appreciation for how the different aspects of intellectual property and product commercialization interact in a corporate environment. With respect to her patent and technical practice, she has worked with clients in various fields which include: life sciences, medical and scientific laboratory instruments, chemical, biotechnology, and transportation. Natalie has a Bachelor in Science from Texas A&M University where she also completed a University Undergraduate Research Fellowship. In 2002, she was awarded best life sciences thesis in connection with such Fellowship research on the genetic modification of fibroblasts and extending cellular life in culture. She subsequently co-authored a paper on that research which was published in Cloning and Stem Cells in 2003. Natalie is admitted to practice before the U.S. Patent & Trademark Office and before all State and Federal Courts in Indiana. Prior to joining Reichel Stohry, Natalie worked for a large general law firm and a smaller litigation firm in Indianapolis, Indiana. She has held offices with the American Bar Association, the Indianapolis Bar Association and the Social Health Association of Indiana, Inc.
Natalie, her husband Matthew, and their two children reside in Austin, Texas. “Protecting Your Stuff: What Every Engineer Needs to Know About Patent Protection,” Society of Women Engineers, Region H National Conference, February 7, 2009. “Trademarks and Unfair Competition Law,” sponsored by National Business Institute, October 21, 2008. “Overcoming Ethical Challenges,” sponsored by National Business Institute, October 21, 2008. “Intellectual Property – You Really Can’t Live Without It,” Panelist for Indiana Biomedical Entrepreneur Network, February 12, 2008. “Ethics in Patent Law,” sponsored by National Business Institute, December 19, 2007. “A Guide to Patent Law,” Sycamore Girls’ School Conference, March 2007 & 2008. N. Dean, “Ensuring Patent Protection in the Face of Freedom to Operate Issues: How a Long-Term Solution to a Short-Term Problem Could Be Detrimental,” Biotech Briefing (ABA Sec. Sci & Tech. L.), Vol. 4, No. 1: 8-11 (2007). N. Tanner (maiden name), “Understanding the Disparity in Availability of Prescription Drugs in the United States: Compromise May Be the Answer,” 2 Ind. Health L. Rev. 267 (2005). B. Mir, N. Tanner, B. Chowdhary, J. Piedrahita, “UPI Extends Life of Primary Porcine Fetal Fibroblasts in Culture,” Cloning & Stem Cells, Vol. 5, No. 2: 143-48 (Aug. 2003).